For years, design software programmers have dreamed of ways to give digital design that pen-to-paper feel. But the latest way to sketch inside Adobe Illustrator uses an actual pen to paper. 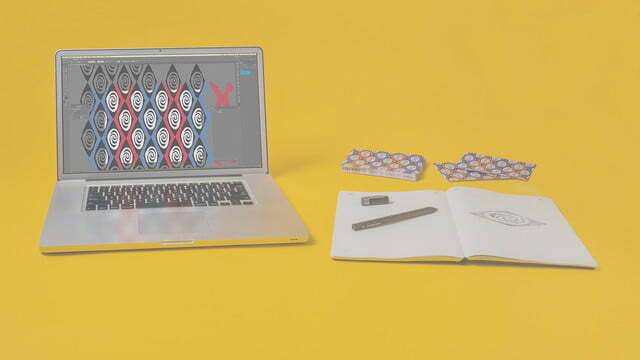 The Moleskine Paper Tablet – Creative Cloud Connected, announced on Tuesday, March 19, is connected to Adobe’s cloud service to add the sketch you draw on actual paper to Illustrator, stroke for stroke. 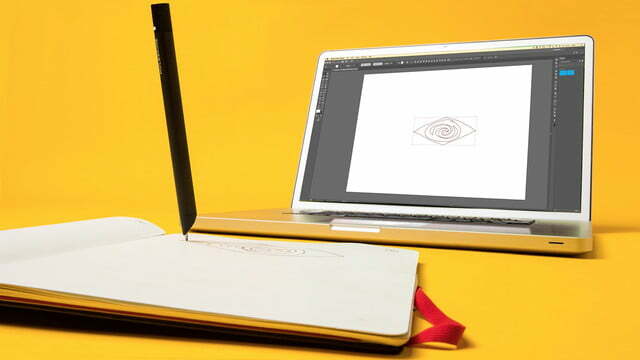 The key to having your sketch and digitizing it is the Moleskine Pen Plus Ellipse optical pen. Used with the Paper Tablet, the pen records each movement, copying each stroke to Adobe Illustrator in real time, Adobe says. The integration also allows artists to undo brush strokes on the digital file (not on the actual paper, of course). While Moleskine already has a Paper Tablet available, this launch is designed specifically for use with the Creative Cloud. Two symbols on each page work as shortcuts — one to switch to the simultaneous drawing mode and the second to save the file to the Creative Cloud. Like the company’s other notebooks, Ncoded paper technology allows the written content to be digitized, including recognizing new pages, in conjunction with the pen. 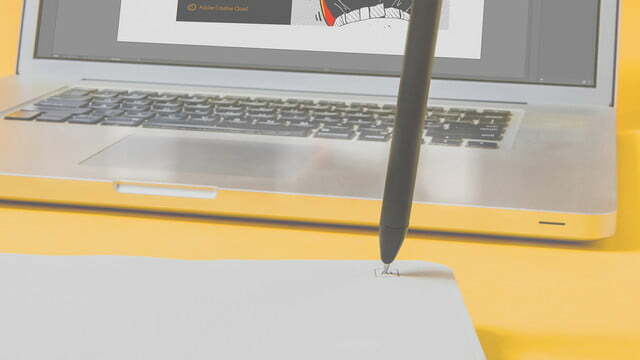 The pen syncs with Illustrator using an extension, Moleskine Pen Plus for Adobe Illustrator, that is already available for MacOS and coming soon to Windows. Adobe says the software can then be used to refine a rough sketch, including tools like Simplify Path. Individual brushstrokes can also be deleted from the digital drawing. The new Creative Cloud-specific tablet is the second collaboration between the two companies. The first was an app that allowed Moleskine users to take a photo of their drawing up upload into Adobe Illustrator. The new paper tablet skips that step while also recording individual brush strokes, allowing users to record individual strokes in Illustrator’s history to undo or adjust later. In a sample project created with the new paper tablet, Adobe shared how a rough sketch could then be adjusted, colored and integrated into the design. Moleskine is an Italy-based company producing notebooks, sketchbooks and planners along with the apps and accessories to digitize the pages. The Moleskine Paper Tablet – Creative Cloud Connected retails for $35 and is available at moleskine.com and other Moleskine retailers.